Dell is giving Linux fans a laptop to call their own with the XPS 13 Developer Edition. The hardware is nearly identical to the Windows version that launched in January, including the edge-to-edge display that essentially fits a 13-inch laptop in an 11-inch body. But instead of Microsoft's operating system, the XPS 13 Developer Edition comes with Ubuntu 14.04. Dell offers cheaper Windows variants with 4GB of RAM, priced at $800 for a Core i3-5010U model and $900 for a Core i5-5200U model. With Linux, 8GB of RAM is the only option. For the Linux version, stepping up from the base model gets you 256GB of storage and a 3200-by-1800 resolution touchscreen for $1349. There's no way to hit a middle ground by configuring just the display or the storage, as you can with Windows variants. Linux users can get a Core i7-5500U model with 256GB of storage for $1550, and can bump it to 512 GB of storage for $1850. Windows users can only get the 256GB option, and only through the Microsoft Store where it's $50 more expensive. Dell has dabbled in Linux laptops before, having released a Ubuntu-based version of its previous XPS 13 laptop a couple years ago. But that version was actually $50 more expensive than its Windows counterpart. (Correction: Dell actually dropped the Linux version's price to below the Windows equivalent immediately after launch.) 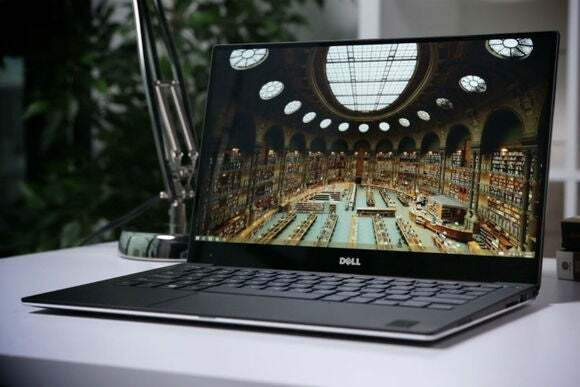 For a time, it seemed like the project was fizzling out, but now Dell is showing an even greater commitment to Linux, with a range of XPS 13 configurations and a Ubuntu version of its beefier M3800 mobile workstation. The company is also providing clear instructions on how to load other Linux distributions, such as Fedora and Debian. The story behind the story: While Linux users have traditionally been able to install their operating system of choice on any Windows machine, this became more of a hassle in Windows 8 with Microsoft's switch to UEFI Secure Boot. Users still have the option to disable UEFI in Windows 8, but this may not be the case on all Windows 10 machines, potentially creating greater headaches for Linux distributions that don't support UEFI. In other words, it's all the more important that users have hardware options with Linux installed out of the gate. The fact that there's no Windows tax this time around is just icing for Linux fans.